When there is more than one, conflict at some point is obvious. In a corporate environment it is quite true and also can be seen quite frequently. It is only that some organizations handle it much better than the rest. 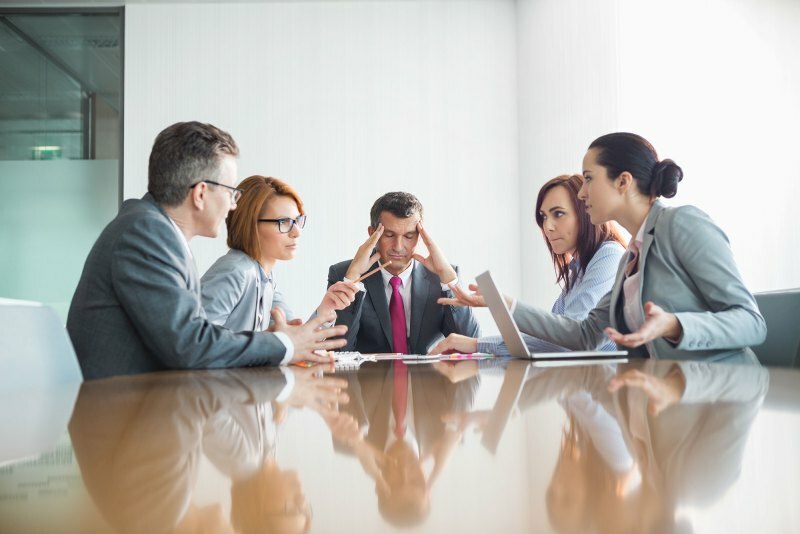 Where conflict is handled properly, that workplace becomes a place where everyone wants to be and contribute to and where conflict is not managed properly, it hurts people and the organization in a small or big manner. So, the question is how to handle conflict in workplace? Well, it is better to learn how to handle conflict than thinking that it is an alien thing that will not occur in your organization. So, below are some points which you can follow to manage conflict in your organization. Define in clear terms what is acceptable what is not? Prevention is better than cure. Avoiding conflict in the first place should be your idea. So, don’t assume and define in clear terms what constitutes acceptable behavior in the organization. This is quite a positive step in avoiding or preventing conflict. Define job descriptions clearly so that everyone knows what is expected of them. Along with this a well-articulated chain of command should be in place known to all to allow for effective communication which will also help avoid conflicts. Make the rules, roles, leadership chain and other important things absolutely clear and publicly make it known what will be tolerated and what won’t be. After all steps to avoid conflict, you still will see conflicts taking place. And this is the time to take it on rather than avoiding it. Despite all preventive steps, if a conflict does flair up, your objective should be to minimize its severity by dealing with it quickly. You need to spend time identifying the reason and understanding to tackle it quickly will help to avoid further unnecessary conflict. Before you indulge into conflict resolution you must see what’s in it for me (WIIFM). This is critical because you need to understand the motivation of others before you participate in the conflict resolution. You can avoid conflict by helping people around you achieve their objectives. If you apply similar approach when you are looking to jump into other’s conflict which is to take action that will help others best achieve their goals then you will face minimum friction in your way with regard to resolving conflict. Not every conflict needs you to jump in. Choose conflicts wisely and avoid conflicts for the sake of it. If you find that the issue is important enough which can create or escalate a conflict then it is very much important to resolve it. If the issue or situation is important enough, and it involves enough at stake, then surely people will do all necessary things like opening lines of communication and closing all kinds of gaps arising out of positional and/or philosophical differences. This is true with life also. In every problem wise people see opportunity to learn and take lessons. When there is a conflict then it means there is disagreement. Now in disagreement there is an opportunity for growth and development as well if situation is handled well. If you are in top position you must leverage conflict for team building and leadership development. While handling divergent positions you may learn innovative ways to solve conflicts as well. Like all successful people you should also look for positives in all differing opinions. Author adminPosted on November 15, 2018 Tags Conflict in the WorkplaceLeave a comment on How to Handle Conflict in the Workplace?